This natural wooden chocolate box is made of solid pine wood. Inside dividers are made of solid pine plywood. It has silk smooth surface and gold hot stamping logo on the lid. Inside lid quality black felt lining with customer's logo decoration available. 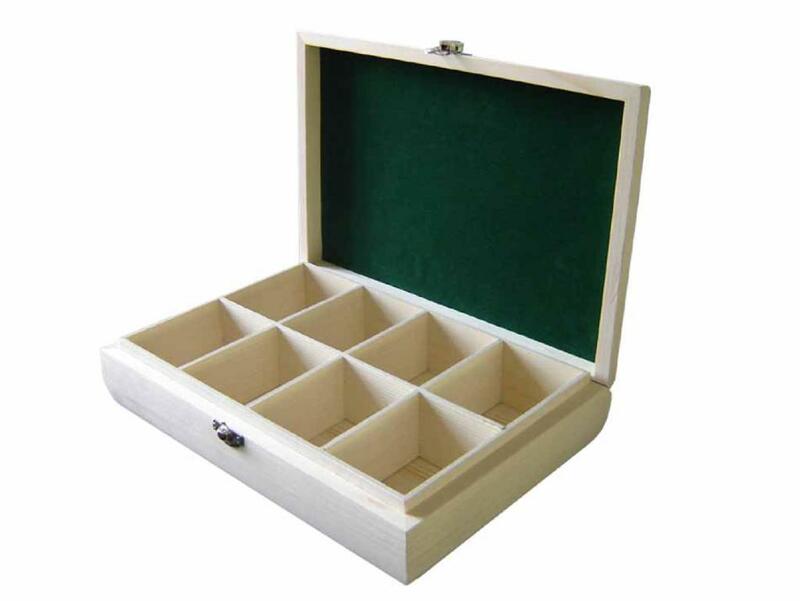 The size is 280x210x65mm with eight steady compartments. We take great pride in manufacturing the highest quality custom made natural wooden chocolate packaging boxes for each and every customer. We have the skilled workforce and expertise required to meet any and all of your wooden box needs. At Extreme Enterprise, our commitment to excellent customer service and great quality, at a reasonable price, allows us to rise above our competition. Quantity discounts are gladly provided. We look forward to hearing from you.